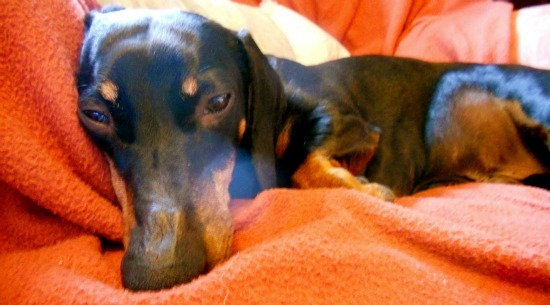 Meet Toby the Dachshund: What is a Dachshund really like? 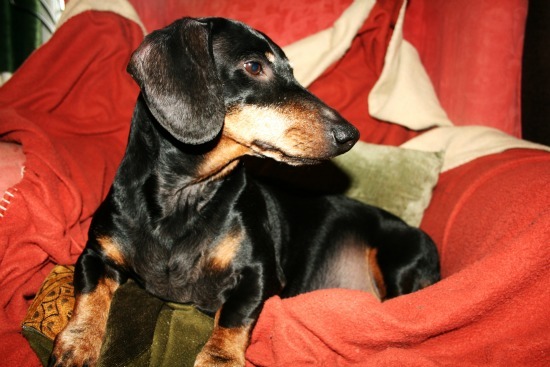 A: Toby is a 7 year old standard short haired dachshund. 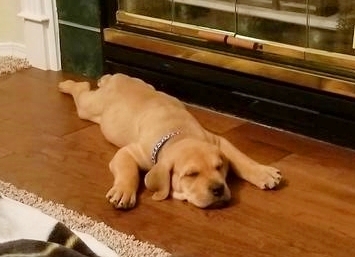 We got him when he was a puppy, straight from his litter with a private breeder at around 8 weeks. Q: How easy was Toby to train? 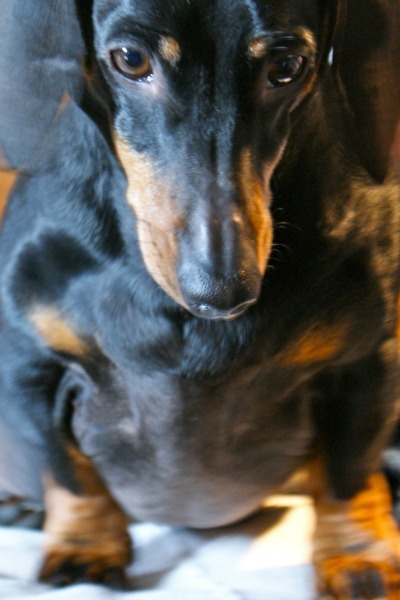 A: Dachshunds are not the easiest dogs to train, but it is possible with consistency and determination. Essential things such as toilet training, “sit”, “come” were fairly standard but as a breed they can be deaf to some other commands, particularly “stay” if they have somewhere better to be! 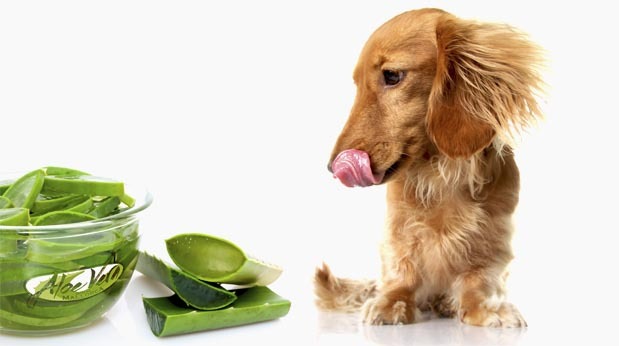 The general rule of thumb appears to be that a dachshund will do as you ask them - as and when they’re ready! Q: How much exercise does Toby need? A: Toby gets taken out around three times a day. Two short walks morning and night, and a longer on in the middle of the day. At the weekends, we try and get him out to the countryside. 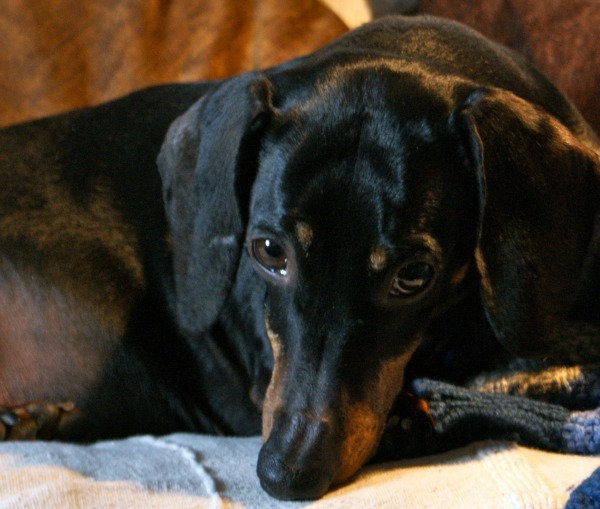 He needs the exercise to keep off the weight that dachshunds are prone to putting on, and also to wear off insatiable energy - but he can be quite lazy and if he decides he’s not going anywhere, it’s very difficult to convince him otherwise. Q: Does Toby have a particularly "doggy smell" and how is his coat in terms of shedding? A: Short haired dachshunds don’t smell too bad at all. We do tend to find short black hairs in the most unexpected places but regular grooming helps. Q: Is your Dachshund an excessive barker? A: Unfortunately dachshunds are quite barky dogs as they like to communicate with their humans, but lots of attention helps with this. Toby takes his duty of protecting his home very seriously. The upside of this is people on the other side of the door are left with the impression you have a much larger, fiercer dog guarding your property than you actually do! Q: Does Toby have good recall off-leash? We never let Toby off the leash due his hunting nature and tendency to ignore commands. Once a dachshund gets a scent, they will ignore you and chase that scent, so keeping them leashed in wooded areas is very important. We have a super long lead that we use for longer walks, which gives him enough freedom to run about without disappearing down a badger set. Q: What is Toby like around other dogs? A: Generally very good. He was socialised young and enjoys meeting other dogs on his walks. Q: What is Toby like around children? 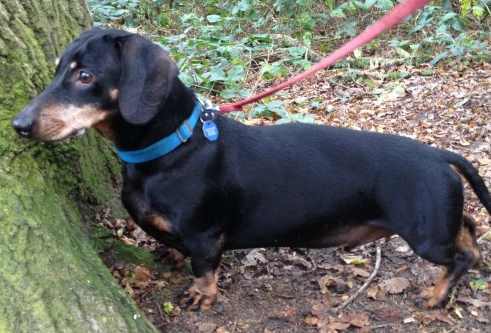 A: Children tend to be very curious with dachshunds due to their funny shape, and Toby doesn't always appreciated being approached very suddenly, so we always pay close attention but he’s always been very gentle with children. I wouldn't say dachshunds are the first breed to consider with small children, however. Q: Would you class Toby as high maintenance or a fussy eater? A: Toby will eat anything, which means we have to be careful what we leave lying around. The only high maintenance thing about his diet is that we have to watch it and ensure he doesn't put on any weight as he will never be full. Q: Can Toby do any tricks or have any funny quirks? A: Toby has a huge personality and a lot of funny quirks. He’s not great at learning tricks per se, but he’ll high five you when he feels like it. His most obvious quirk is his insistence on being a part of everything we do. If we’re sat around talking, he must be sat with us and won’t leave us alone until we’ve allowed him into the group. Helping unwrap presents at birthdays is one of his favourite activities - he thinks that anything wrapped is automatically for him! 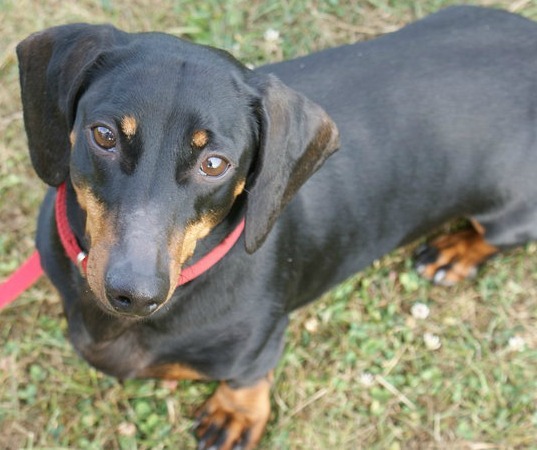 You could read more interviews with other breed owners or perhaps you'd like to find out more about the Dachshund?